The ear is probably the most complex and architecturally detailed structure of the face. Though the ear is not subject to intense scrutiny by most of the lay public, its various nooks and crannies, curves and recesses, can make it a three dimensional reconstruction challenge. In fact, some plastic surgery residency programs used to have prospective residents draw an ear, or carve out an ear out of soap as part of the interview process. 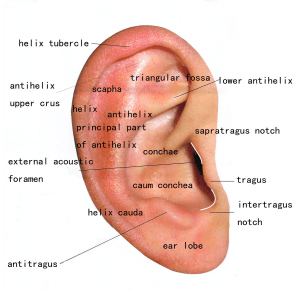 The ear consists of a cartilaginous framework, and a skin envelope. This skin envelope is generally quite thin except for the ear lobe, where the skin can be quite thick. Another unique feature of the ear is the lack of fat that normally separates the skin from the underlying structures. Reconstruction of the ear will be dependent on the specific region, and whether cartilage is involved. Defects on the helix (rim), can be reconstructed with flaps (movement of tissue) from the adjacent helix, or from tissue from the hairless tissue behind the ear. 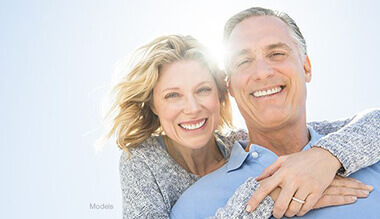 If cartilage needs to be replaced the cartilage from the conchae (bowl) of the same ear or the opposite ear can be used with any change to the shape of the bowl. Skin grafts are used to generally reconstruct many defects of the anterior surface of the ear (antihelix, scaphoid fossa, conchae bowl). In very complex large defects advanced techniques using more distant tissue such as a temporal parietal fascia flap maybe necessary.